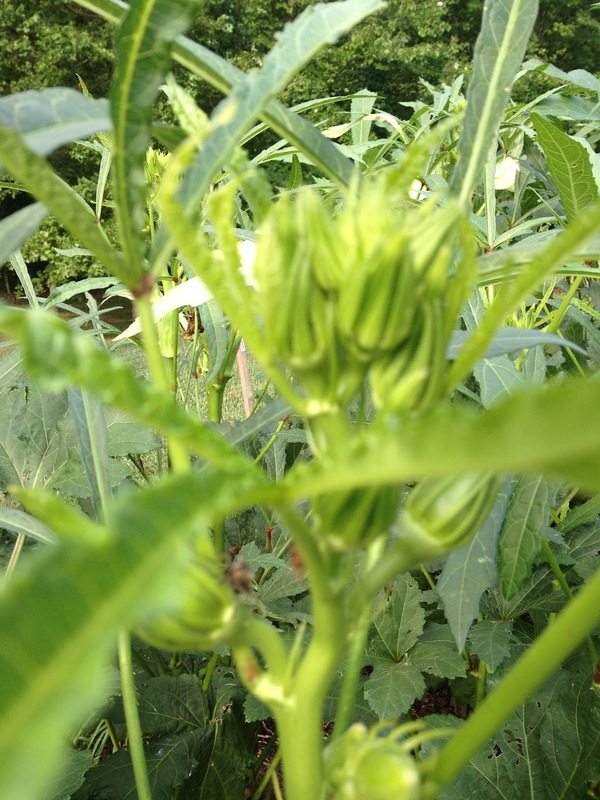 Ever seen an okra plant? They can grow up to 7 feet. 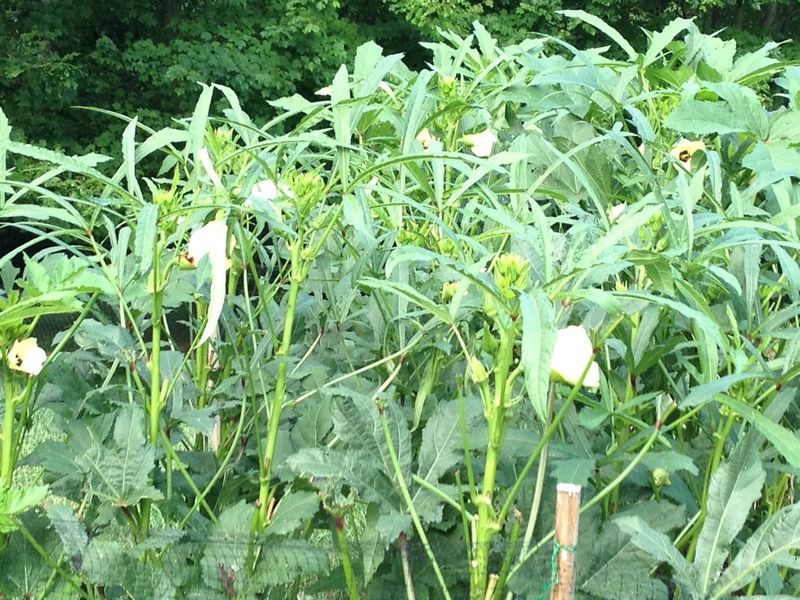 Their leaves have a pokey peach fuzz as do the okras. They have beautiful yellow flowers with a deep crimson center. 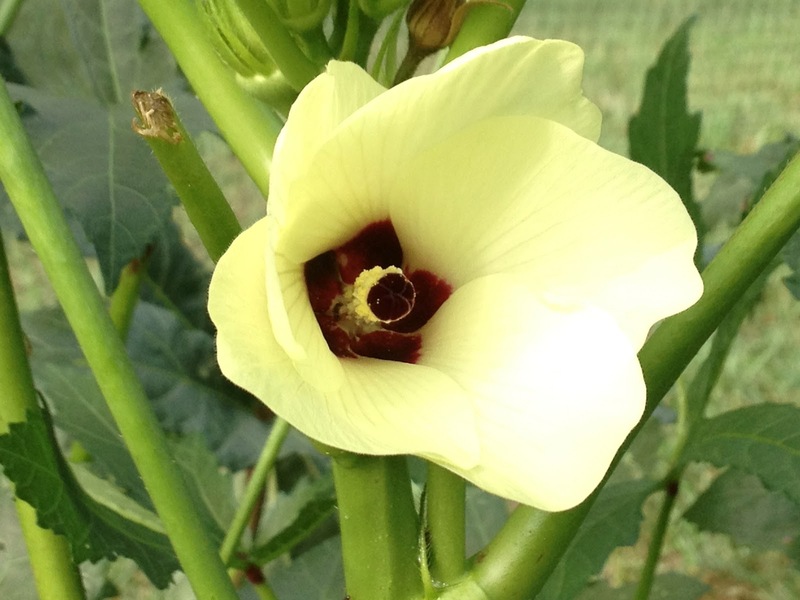 Okras are best picked when they are green and tender about- 4-6 inches long at most. Sadly though, they are so easily camouflaged as they usually shoot off the thick green stems, and are sometimes hidden beneath the wide leaves. But it is, as I’ve expressed on so many different posts, the greatest pleasure to pick your own verifiably organic veggies right off the plant and make them when they are spanking fresh. The taste is unbelievably fresh and can’t be beat! This is the easiest veggie to prepare and it tastes SO good with Chappatis – A staple in any Indian home, this version of the Okra is something I learnt to make from my mom – Eat this with a simple moong dal and hot phulkas – sheer heaven! Also sheer heaven to eat with morekozhambu or sambar & rice. 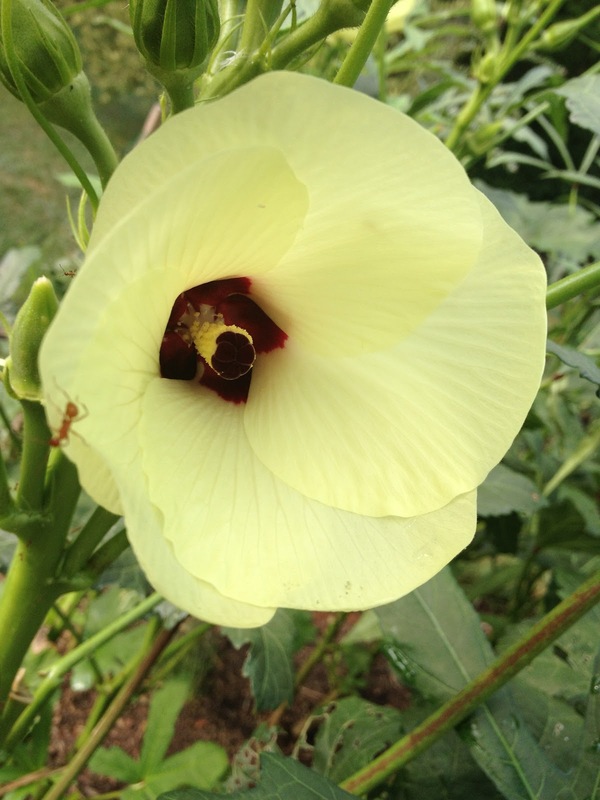 Do NOT add more than a few sprinkles of water – Okra is by nature a very slimy veggie and adding too much water will have them webbing a lot. 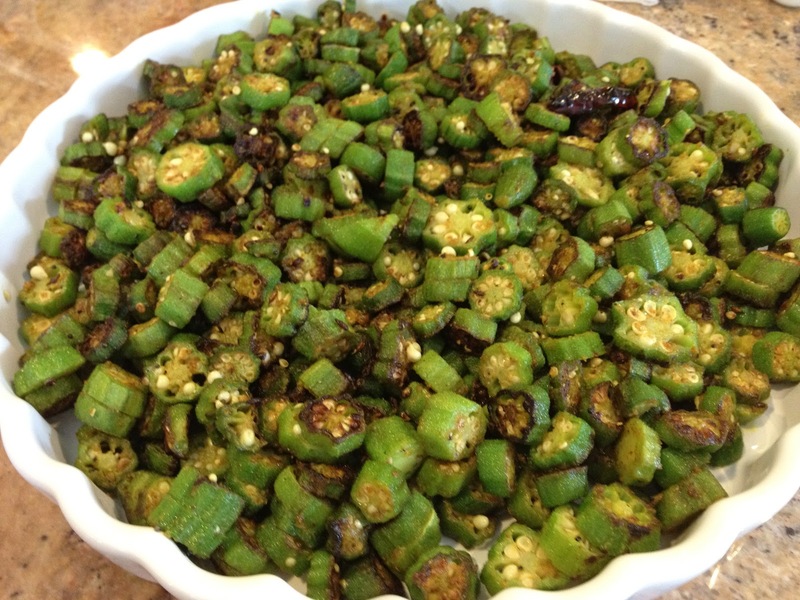 By sprinkle a tad bid of water, I mean literally ca few drops – this is better avoided if your okras a fresh and tender. 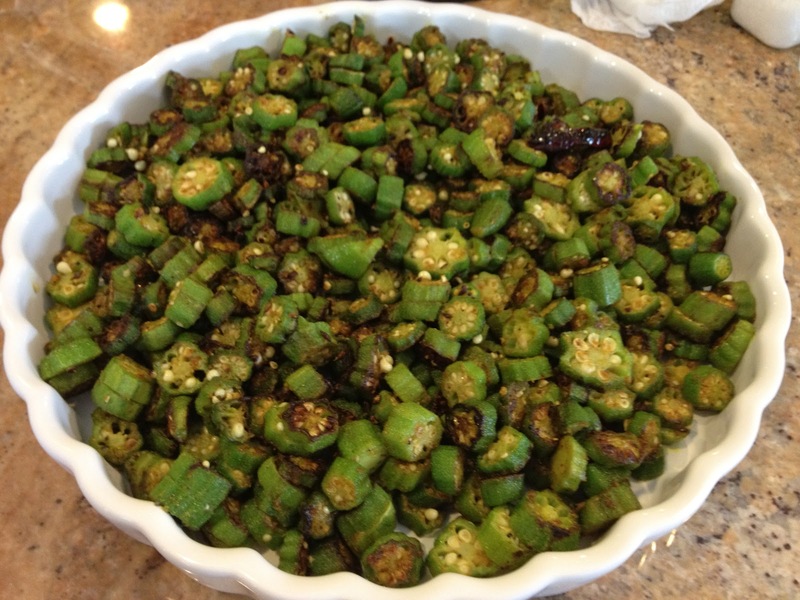 simple and delicious okra fry. my fav veggie…looks very nice!! Looks yum. Nothing like growing your own veggie. this is so interesting! I have never seen this plant before. Your cooking is so good!! 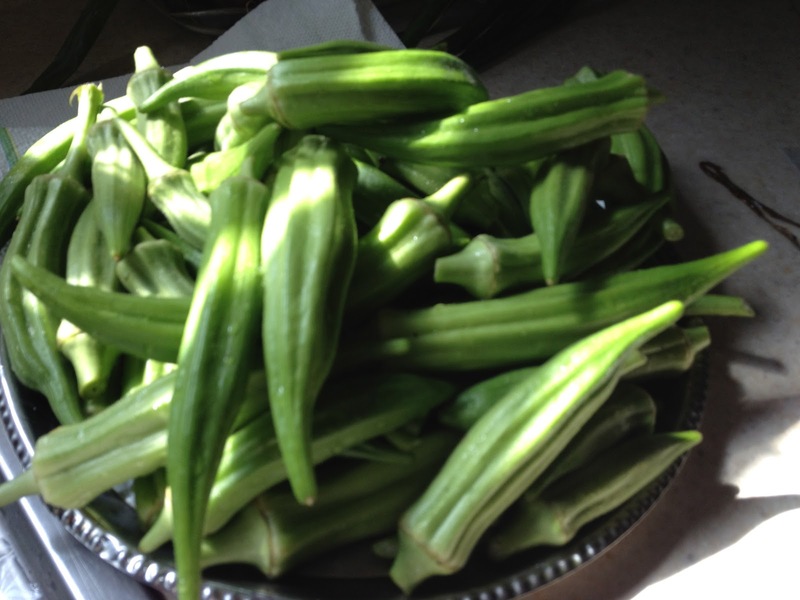 Very delicious n yummy okra ..lovely!! One of these days , I will try to cook this delectable dish ! 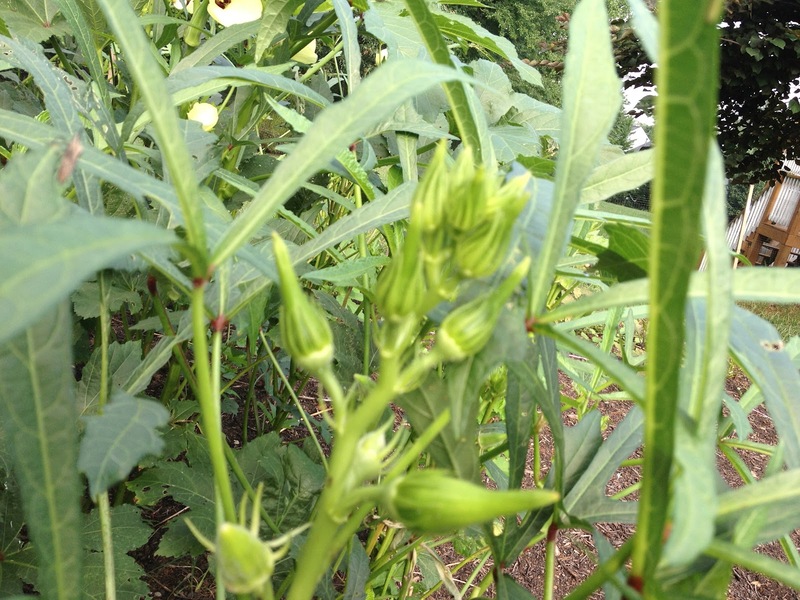 I love okra ( yup , I've seen some okra plant before 😀 ) but haven't eaten it for a while 😛 Your garden looks gorgeous ! From your own garden to the dinner table…just marvelous! 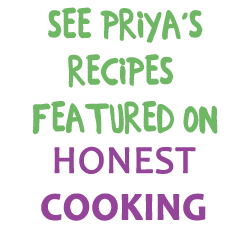 Love the way you have described the cooking. Vendakkai is a huge family favourite too, but my son will eat it only if fried with 'paruppu podi'..well, atleast he agrees to eat it that way! 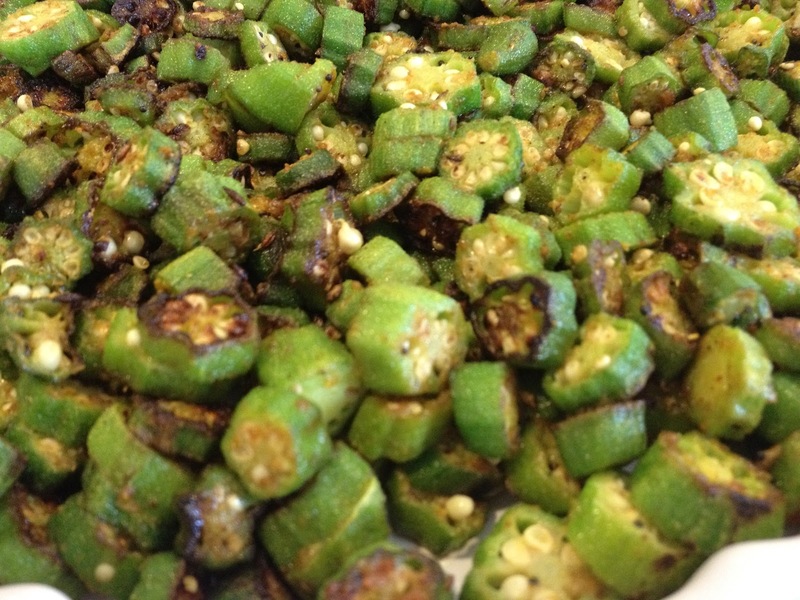 Homegrown okras, omg you rock.. Simply but yet a delicious fry.